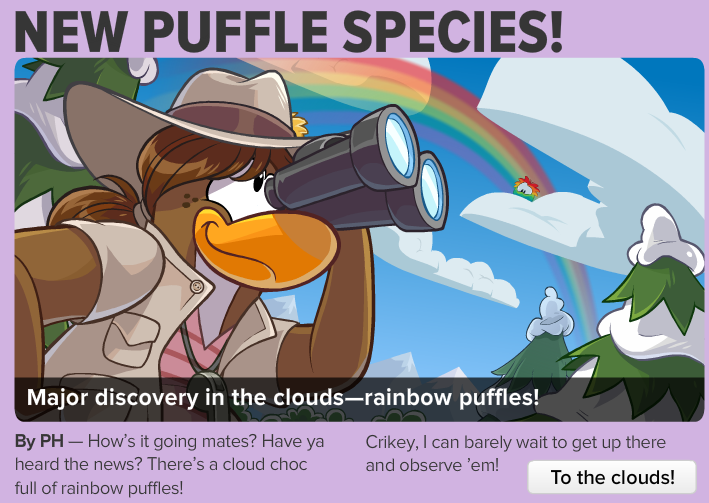 Club Penguin has published a brand new Club Penguin Times, It’s about the Rainbow puffles that have been discovered! The main headline in this week’s newspaper is about the new puffle species, it is by PH who will be visiting the Puffle Party 2013. By PH -- How's it going mates? Have ya heard the news? There's a cloud choc full of rainbow puffles! Crickey, I can barely wait to get up there and observe 'em! 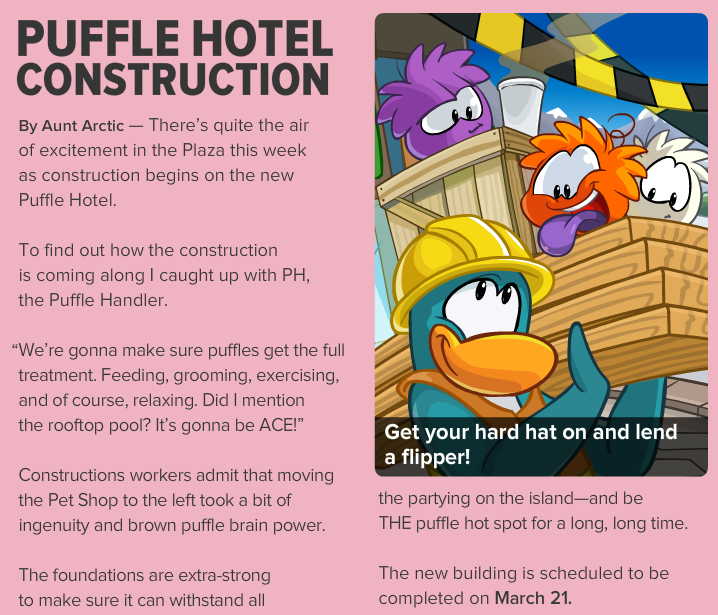 The second article in this week's newspaper is about the Puffle Hotel construction that is going on. 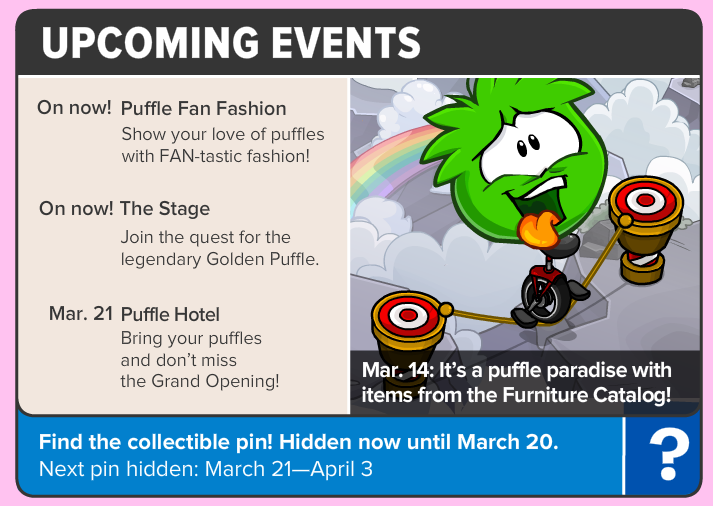 The Puffle Hotel is scheduled to be completed on March 21. - Puffle Fan Fashion: Show your love of puffles with FAN-tastic fashion. - The Stage: Join the quest for the legendary of the Golden Puffle. - Puffle Party: Bring your puffle out to party! Are you excited for the Puffle Party 2013? I know I am! Are you going to purchase a rainbow puffle when it comes out? Leave your comments below!